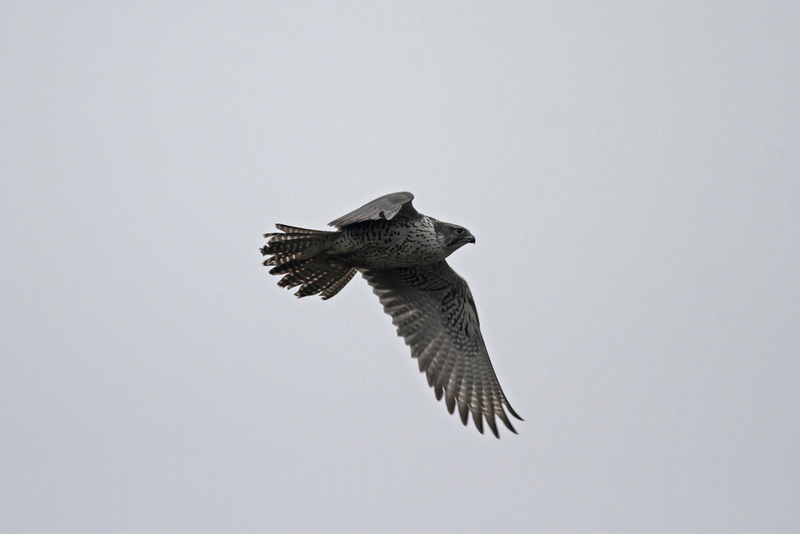 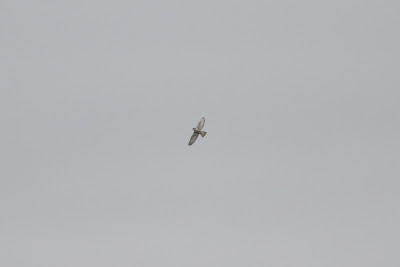 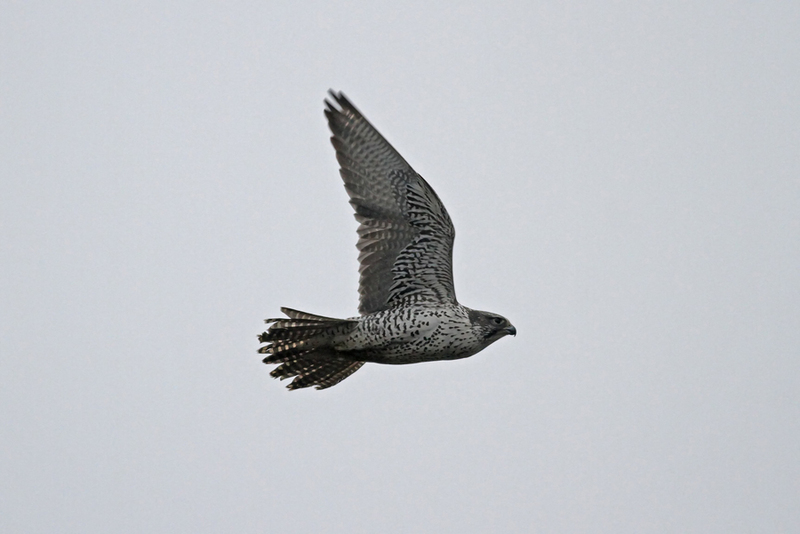 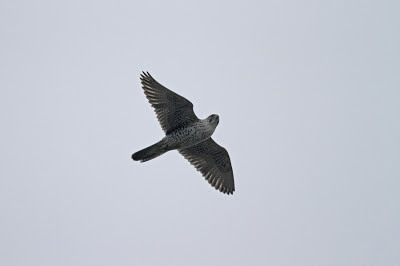 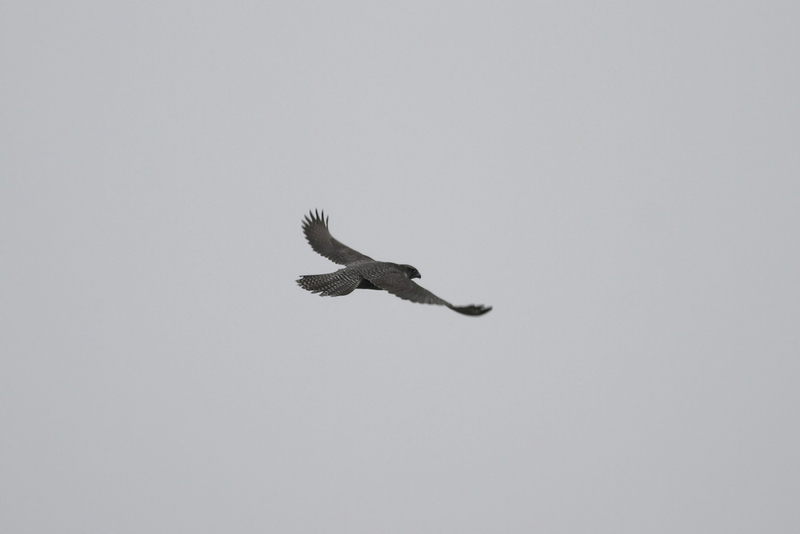 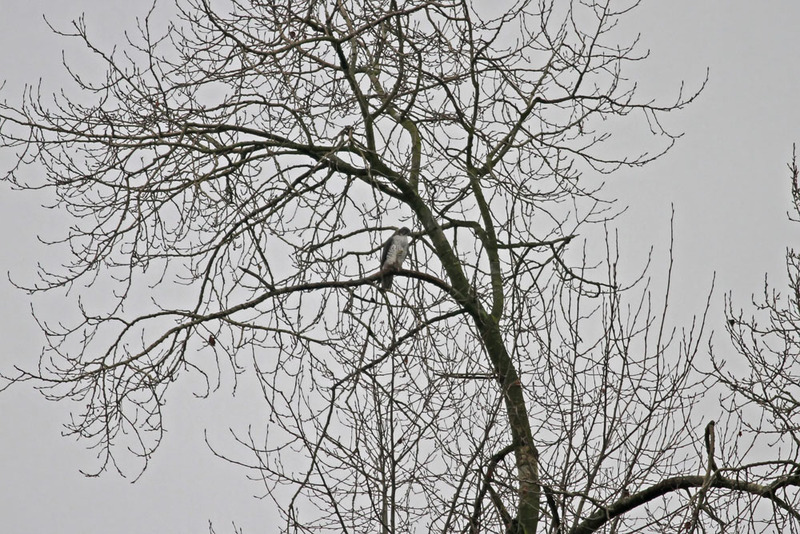 We were able to enjoy two Gyrfalcons (both most resembling gray morph) while in the Seattle area, one a juvenile in the Skagit Valley and a subadult/adult in Vancouver. 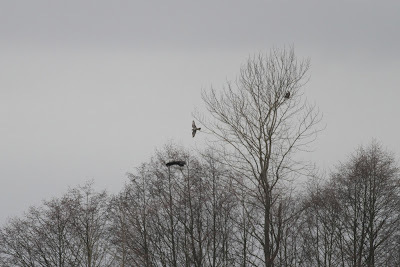 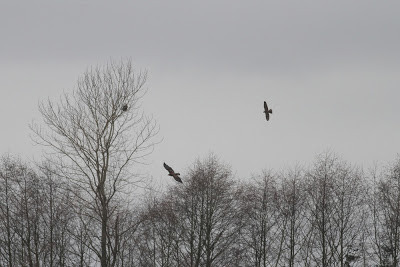 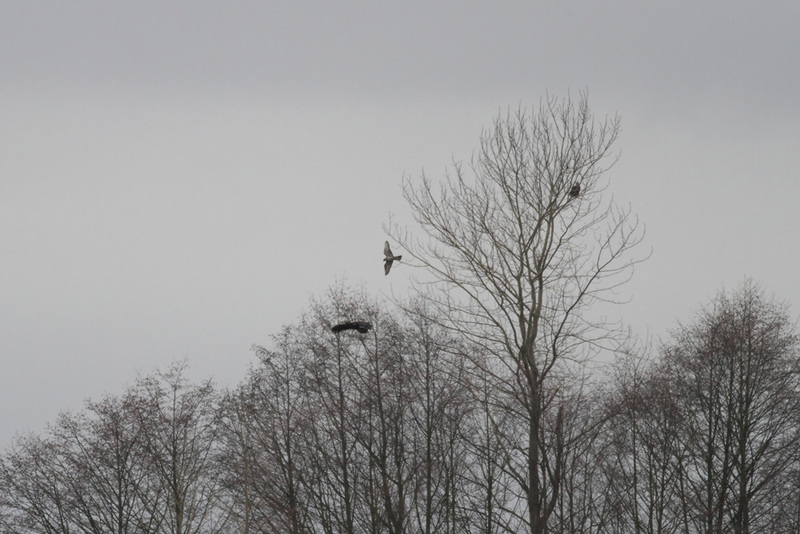 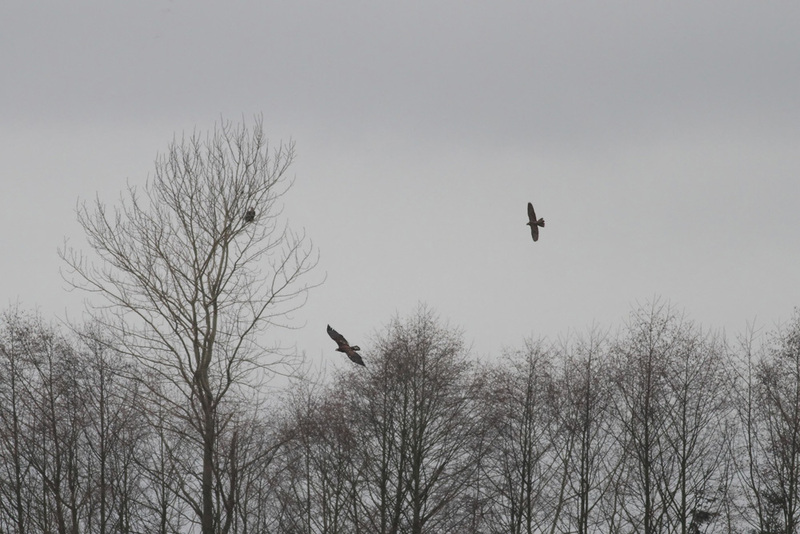 The juvenile bird was quite distant, but Ryan and Jay first spotted it being pursued by a young Bald Eagle. 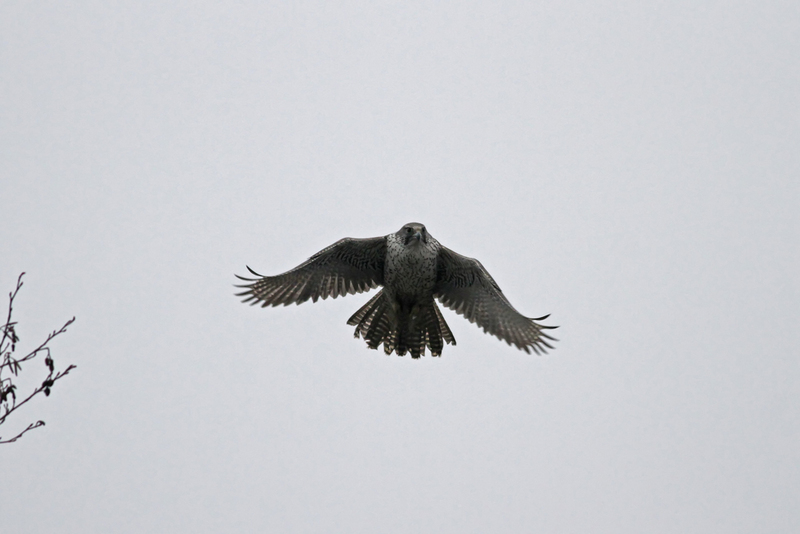 The Gyr soon turned the tide and began to harass the eagle. 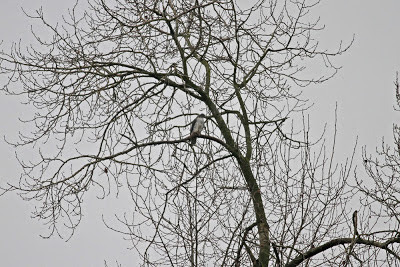 It then landed in the same tree as an active eagle nest and proceeded to stare down the nesting bird before dropping out of sight!